Welcome to the Sun Spot: Global Feel Good Center: AloeVera:Neem Leaf:Concord Grape......Do it Dew it!! AloeVera:Neem Leaf:Concord Grape......Do it Dew it!! What is the meaning of all this? Aloe Vera? Neem Leafs!? Grape juice?.........you may be thinking what in the world for? You're probably like...... if i dont have any major issue why would i even think about drinking something so extremely bitter? Ah yes....the questions. the questions lead you to the answer. With no question you have no answer. used to embalm the body of Christ." Delving into my science(Heliology) and art, you will see that plenty is being done to prepare you/us. When you have the tools required and acclimate your body to such tools, you can then heal thyself and thy family with thrift and simplicity. If you never drink this elixir til you really really really need it....you may not take so kindly to it. In my opinion, you have to start now while youre so-called 'healthy'. I'll explore these 3 ingredients below, this holy trinity of plants. Polysaccharides...do you know? do you know? probably no. and even if you do, pay close attention. 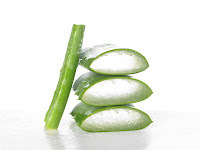 Aloe mucilaginous polysaccharides (AMP) are long chain sugar molecules composed of individual mannose and glucose sugar molecules connected together. 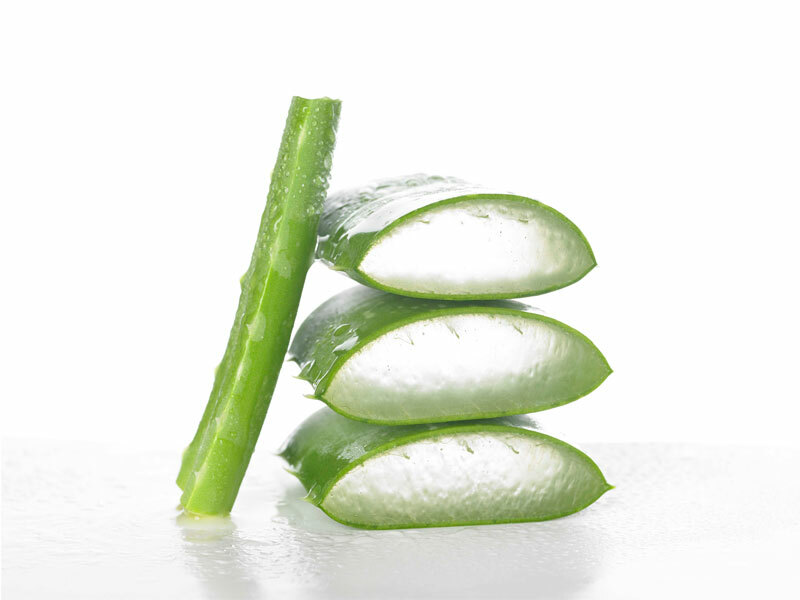 The AMP molecule is but one of the approximate 200 ingredients found in the Aloe vera plant. However, the mucilaginous polysaccharide is the sole ingredient responsible for all the healing properties attributed to Aloe. Mucopolysaccharides are made in the human body and perform many key functions in our health, including growth and immune system functioning. Unfortunately, after puberty we cease manufacturing mucopolysaccharides and must obtain them from outside sources. Fortunately, mucopolysaccharides are found in large amounts in fresh aloe and in our proprietary prepared formula. There is wide range in the size of the polysaccharide molecules. Each has it’s own benefits. 1. Small 50-600 molecules – These molecules reduce inflammation from diseases such as ulcerative colitis, arthritis, and gastric reflux. Also, has shown potential to help with the reduction of blood sugar with both type I and II diabetes. 2. Medium up to 1,500 molecules – Where as vitamins and minerals can only function outside the cells, mucopolysaccharides are very effective intracellular antioxidants and free radical scavengers – very important in preventing and treating arteriosclerosis, heart disease and Parkinson’s disease. With the ever increasing pollution on the planet and loss of nutrients in the soil, the increase in free radicals and loss of cellular oxygen will only become worse with time. This makes Aloe vera mucopolysaccharides even more important than ever. 3. Large up to 5,000 molecules – Has a direct anti-bacterial and anti-viral effect. Important with all the new infectious diseases cropping up and the older ones becoming more virulent from long term use of antibiotics. 4. Very Large up to 9,000 molecules – The very large molecules are immune modulating, which have a powerful healing effect on AIDS, cancer and many different immune system disorders. It is also this large molecule that causes the body to produce a natural chemical, tumor necrosis factor, that functions to shut off the blood supply to tumors. Sun!! Sun!! Star!! Moon!! Humane Being.......you can grow an aloe vera plant with ease. it reproduces prolifically and can thrive with minimal water. You can rub it on your face. your body. your scalp. you can put it directly on burns..sunburns....cuts...lacerations...rug burn(for the amorous ones) and if youre constipated.....blend it with some of the oils closest to the green skin and voila....be careful tho. as soothing as aloe can be, its pretty volatile when using its bitter components and it can be habit forming if you ingnore proper eating and abuse it as a laxative. My Fathers, Mothers, Brothers,Sisters in ancient sunny Khem used this herb to beautify and to heal and even as an aromatic incense oil. Connect to your dna in everyway possible, we dont need 'them', we need 'you' to embody you as grand as you can. I trust in you. Neem : is dedicated to the Goddess Neemari Devi. Interestingly Neem is referred to as 'the village pharmacy' in that in its whole form, it can treat disorders arising in almost every section of the human body. I was first introduced to it as an ingredient in hair products. The raw form is extremely pungent smelling...almost like an onion and a durian. 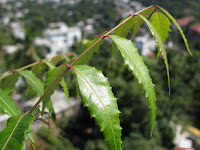 The Neem Tree has been used for at least 4000 years in India. Vata disorders. It removes ama and other toxins from the body, purifies the blood, and neutralizes damaging free radicals. It is nourishing to the hair (keshya). The first unfermented grape juice known to be processed in the United States was by a Vineland, New Jersey dentist, Dr. Thomas Welch in 1869. Dr. Welch, his wife and 17-year old son, Charles, gathered 40 pounds of Concord grapes from the trellis in front of their house. In their kitchen, they cooked the grapes for a few minutes, squeezed the juice out through cloth bags, and poured the world’s first processed fresh fruit juice into twelve quart bottles on the kitchen table. To preserve the juice, Dr. Welch stoppered the bottles with cork and wax and boiled them in water hoping to kill any yeast in the juice to prevent fermentation. Dr. Welch’s process was a success, and his application of Louis Pasteur’s theory of pasteurization to preserve fresh grape juice pioneered the industry of canned and bottled fruit juices in America. This first juice was used on the Communion table in the local Methodist church for sacramental purposes, and most of the first orders for grape juice came from churches for Communion. Purple (Concord) grapes (with their skin and seeds), and to a slightly lesser degree red and black grapes, contain several nutrients that are known to kill cancer cells. These kinds of grapes also contain nutrients to stop the spread of cancer. They also help detoxify the body. Ok now. i can go into the synergy of these 3 or you can just get the picture. This formula is an example of how we can find plants and fruits to accentuate each other and in turn benefit us greatly in the prevention and healing of everyday maladies. You may wanna wait til news channel 2 does a special report on these ingredients, or wait til oprah says you can lose weight with this drink. Try and understand this, you read it because it was requested by your higher self. Regardless of what your so called conscious mind thinks. there are millions of websites and billions of people on the earth. you either met me, or stumbled upon this page or some linkage to this page. Believe what you will; but like the great inventors and discovers of revolutionary innovative advancements on our planet, journey into the land of self experimentation and prove to yourself the value of this formula.